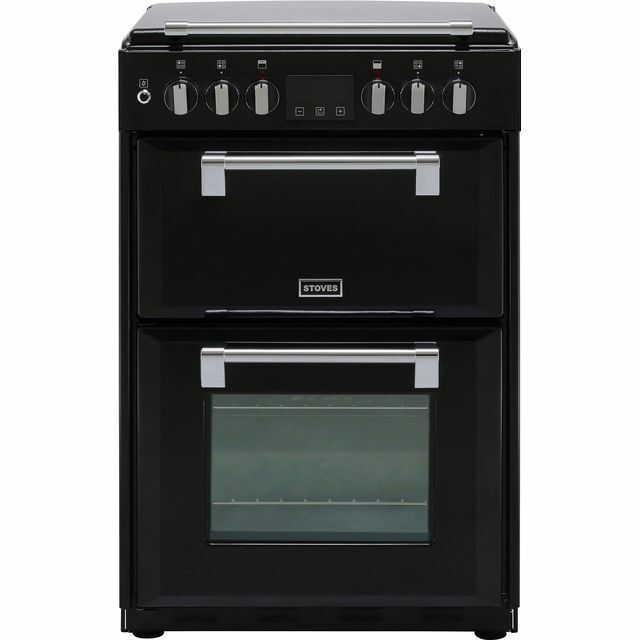 Enjoy efficient and versatile cooking with this stylish Stoves dual fuel cooker in black. It has an A energy rating, making it economical to run and kinder on your energy bills. 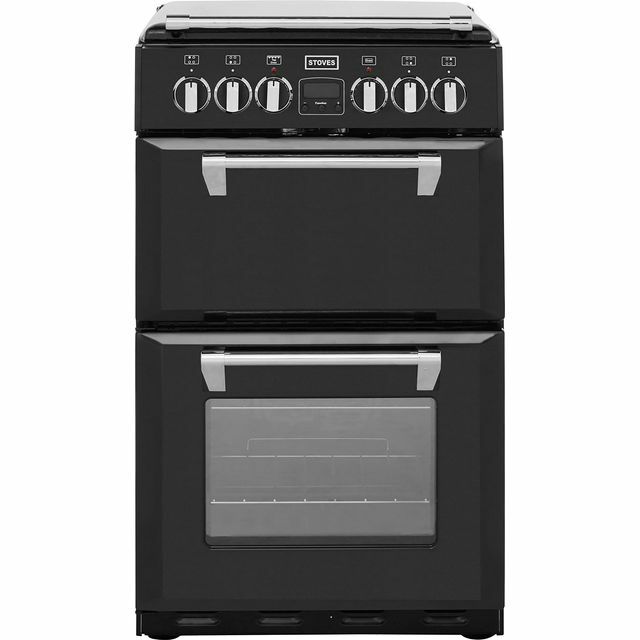 This cooker has a main electric fan oven that circulates heat. This makes it ideal for cooking different dishes at the same time, because food cooks evenly on every shelf. It also has a second conventional oven with a grill setting, which you’ll find really useful for preparing perfect steaks or flavoursome fish fillets. This model also has an electronic programmable timer, so you can always be in control of every dish. Good little cooker but have slight problem with door. Considering how few 55cm dual fuel hobs are available it is lucky that there is a stylish option like this available. Fits perfectly and looks great! Only problem is that the before you use it you have to ‘burn off’ any dirt or residue which creates a lot of plastic smelling smoke that my alarm hated. 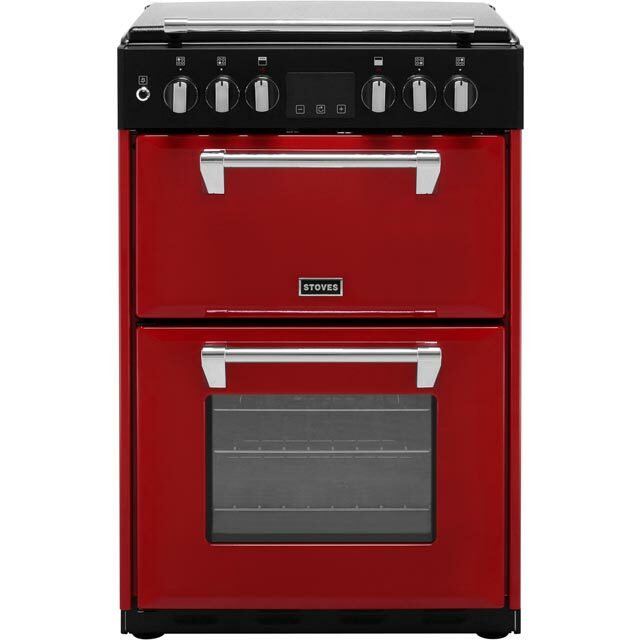 After trawling through 100's of reviews for a reliable new cooker I decided that this was the best one on the market to suit my needs. It looks solid, is well built and looks great in the kitchen. I chose dual fuel and I'm glad I did because there is now less condensation produced by the electric oven than with my previous all gas one. 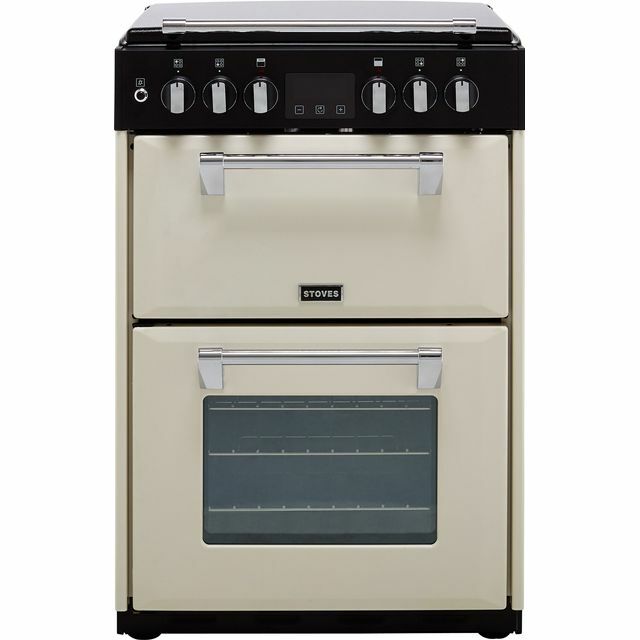 I've never had a Stoves cooker before but would thoroughly recommend it to anyone who is considering a new purchase. Great oven, love dual fuel. The only problem is the burn in. Acrid smoke filled the house. This should last a couple of hours at worst but finally started to ease after 11 hours on full whack. Not ideal and the house still stinks. Still, happy overall. Pricey for a small cooker but the quality justifies the cost. It's well designed and the controls are well laid out and simple to understand. We haven't had to clean the oven yet, but the shelf supports appear to be easily removed for this purpose. 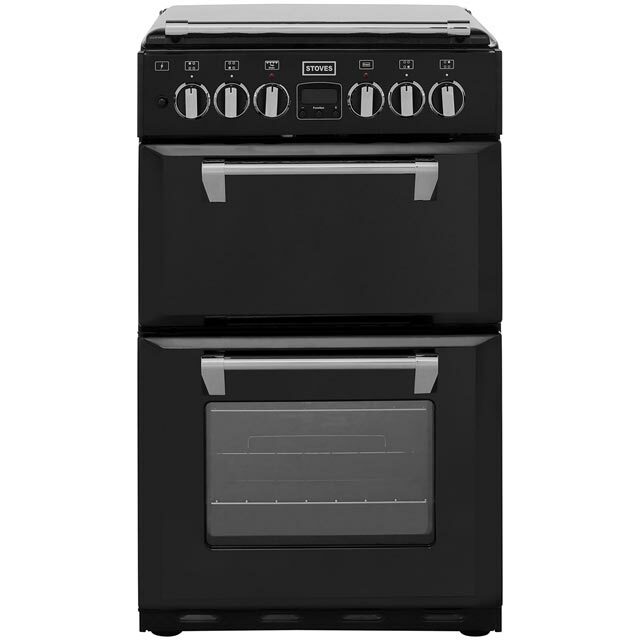 Overall we're very happy with our cooker, which is an attractive addition to our kitchen. I had recently moved in to my first house and an oven was just one of the appliances I had to purchase. Not only did I have to purchase appliance, but furniture as well, and it had to be done on a budget. Unfortunately for me, my kitchen did not allow for a wider oven and so the choice of narrow ovens were limited. It seemed that the only cheaper alternatives were ones that looked to be designed to last about 6 months, and so I paid a little more than I had wanted to for this one. As luck would have it, there was 10% off. The oven, however, is perfect for me. Its good quality, it works well and heats quickly. The settings are straightforward making it easy to use, and it comes with the essentials (excluding a plug). I'd actually forgotten about the lack of plug until now... why would you sell an electric oven without a plug??? Anyway, it still smells a bit (because it's new) and because of the colour/finish it always looks dusty.